Professor Pawar holds a chair in Operations Management and is the Director of the Centre for Concurrent Enterprise. He has extensive industrial and consultancy experience in a variety of multi-national enterprises around the globe in the area of new product design & development (NPD), logistics and supply chain management, manufacturing and operations management. His research interests include management of New Product Design and Development (NPD), analysis and configurations of logistics and supply chain networks and operations in different contexts, sectors in Europe, China and India. He has published over 300 papers, including articles in leading international journals such as the International Journal of Operations and Production Management, International Journal of Production Economics, R&D Management, Technovation, Concurrent Engineering and Manufacturing Technology Management. He is the founder and Chairman of the International Symposium on Logistics (www.ISL21.org), which has been held annually over the last two decades in Europe and other parts of the world. He has also been co-organising the International Conference on Concurrent Enterprising (ICE) since 1994. He was Editor-in- Chief of the International Journal of Logistics: Research & Application (2002-2007) and is a member of editorial boards of several journals. Professor Pawar has been involved in more than thirty major research projects and has coordinated and managed a number of national, European and international projects and networks. 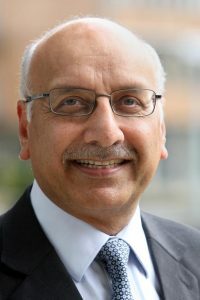 Professor Pawar sits on several international professional committees, boards, expert panels and is an expert reviewer, evaluator and consultant to the European Commission.